In a 2008 New York Times piece, the maverick guitarist Bill Frisell praised the musicianship of violinist Jenny Scheinman, commenting, "She can play out or free or whatever, but you always hear that center, that melody thing, which is so important." It's evident when listening to Scheinman's work in various collaborations, including numerous projects with Frisell, or in her work as a bandleader, that "center" is distinct. What's often marked her solo compositions is a strong sense of lyricism, with influences ranging from Eastern European and Mediterranean folk to Americana. 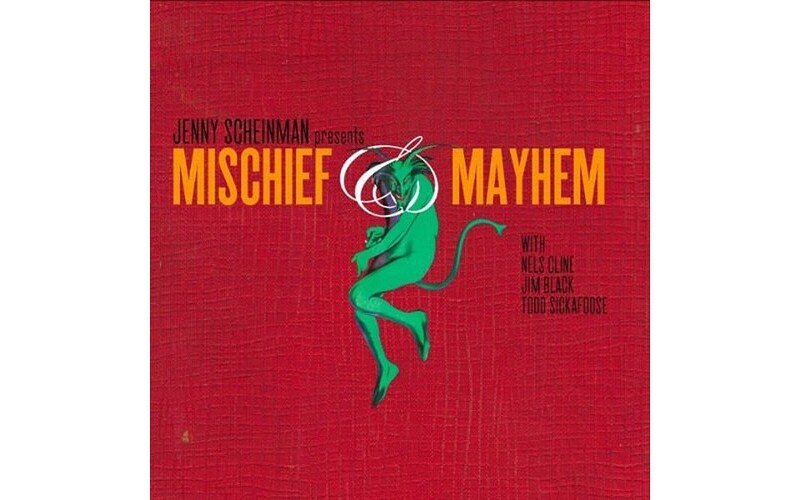 With her fifth studio work, Mischief & Mayhem, Scheinman has put together an epic band (under the same name), composed of drummer/percussionist Jim Black, bassist Todd Sickafoose and guitarist extraordinaire (and Wilco axeman) Nels Cline. Her lyricism is definitely present, but Mischief & Mayhem is her most urban recording, distancing it from any of her previous work. It's also the most high-wired, charged and vibrant work she's laid down so far. Scheinman belongs to a community of jazz/improvisational musicians, loosely termed as "Left Coast," who have all contributed in pushing the envelope, reconfiguring the definition of "jazz." This includes drummer/percussionist Scott Amendola, pianist Myra Melford and bassist Trevor Dunn, to name a few. Their approach is unique. It's a collaborative one, rooted in jazz, but with players who have absorbed a wide scope of influences ranging from Deerhoof to Andrew Hill, while creating compositions and formations within an open-ended framework. Mischief & Mayhem's strongest influences flow from two basic streams. In one stream, there's a deconstructed "world" music view, allowing for strong elements of Middle Eastern, African and Asian music to seep in (like the graceful opener "A Ride With Polly Jean" or the Ali Farka Touré-inspired "Ali Farka Touché"). A parallel stream is cinematic, influenced by film composers such Bernard Hermann and Ennio Morricone (as in "The Audit" and "July Tenth in Three Four"). The two streams often merge into one raging river. The funky "Blues For Double Vee" falls instantly into a deep-groove pocket, colored by sharp accents that give it a cool cinematic atmosphere (a great opening score for a film), while displaying some of Scheinman's most confident and aggressive playing on record. "The Mite" is an explosive film noir free-rocker, featuring magnificent point-counterpoint interplay between Cline and Scheinman. They complement one another (instead of competing) and eventually merge into one indistinguishable sound. Scheinman's band exhibits an unselfish service to Scheinman's compositions throughout the record. However one might define Mischief & Mayhem, it's firmly contemporary, energetic, dynamic and engaging, capturing some of the violinist's most vibrant playing to date. As producer, composer and arranger, Scheinman has released one of the most powerful recordings I've heard so far this year. One hopes for more by this amazing group.